Are slow processes costing you time and money? 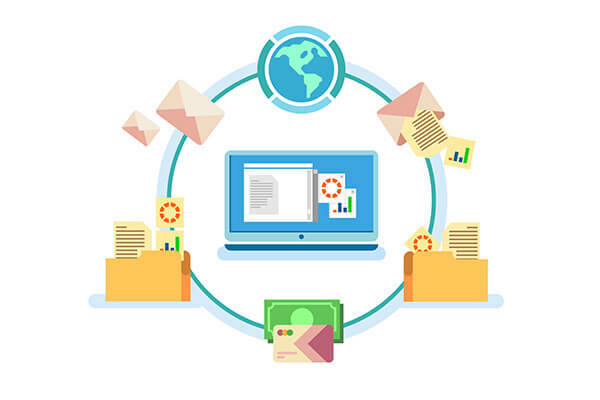 Workflow streamlines simple, repetitive processes that slow your office down, and helps you keep tighter control over the incoming mail and paper documents your company receives. With PaperVision Enterprise Workflow, you can automate the distribution of documents and create business process rules that route critical documents to the right user at the right time, rather than letting paper pile up on someone’s desk. You can even set up exception processing rules that account for absent/vacationing employees, keeping your documents routing on the fly. Let Workflow software from Digitech help you track status and measure productivity like never before. Digitech's easy-to-use automation software is the solution to your process woes. Working in tandem with PaperVision Enterprise or ImageSilo, PaperVision Enterprise Workflow offers seamless integration with your business processes, and has the power to permanently change your document management workflow.